Our Latest Machinist | Doty Machine Works, Inc.
Pictured is Mike who started Doty in shipping handling and decided he wanted to be a machinist. 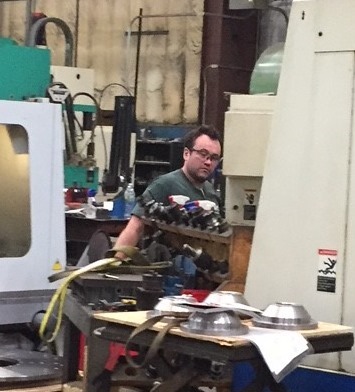 He went to the Vocational Machinist Program evenings and weekends and we are honored to have him working in his new capacity as a machinist. We thank Mike for his hard work and determination.